Though they fought until the last moment, Barça B couldn’t end the season with a win. A very competitive Zaragoza side won the match thanks to the goals of Vinicius and Febas. The margin of victory might've been greater were it not for goalkeeper, Jokin Ezkieta, who saved two penalties. The game started with the hosts on top and in complete control, with Aleñá and then Sarsanedas going close but unable to open the scoring. As the minutes passed Zaragoza started to impose themselves more, and just when it seemed that the game would stay goalless until the break, Vinicius took advantage of a ball to the back post and put the visitors into the lead (0-1, min 39). Barça came out fighting in the second half, but were a little overzealous at times. As a result, Zaragoza were awarded two penalties but Jokin Ezkeita stopped both to keep the hosts in the game. 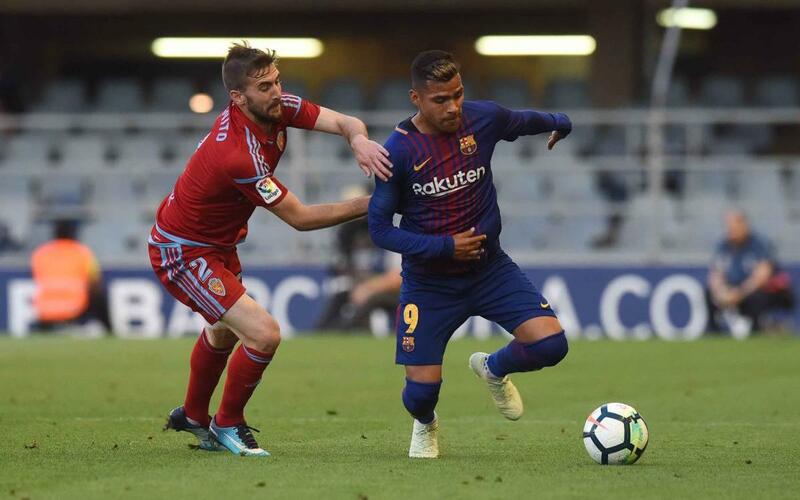 Despite their efforts, the Blaugranes still couldn’t break their opponents down, and in the 89th minute, Febas ended the game as a contest (0-2).